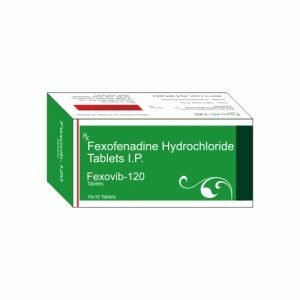 Fexofenadine hydrochloride (Allegra) is an antihistamine drug used in the treatment of hayfever and similar allergy symptoms. It was developed as a successor of and alternative to terfenadine. Fexofenadine, like other second and third-generation antihistamines, does not readily pass through the blood-brain barrier, and so causes less drowsiness than first-generation histamine-receptor antagonists.